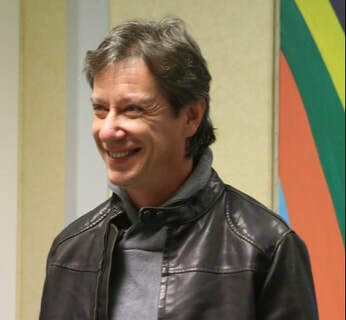 Founder of Scatto Bike Tours. Has worked in the bike industry for more than 23 yrs, from Campagnolo, GT Bicycles and Breaking Away Bicycle Tours. About a decade ago he set up his own distribution company Charlie Srl. Charlie was born and raised in Italy, with a British father and an Austrian mother, before moving to Canada to go to Queens University. Prior to cycling Charlie was a successful sailor for the Canadian national sailing team, pocketing even a world championship title. Half American and half Italian. Born in upstate New York Dave now lives in Vicenza where he owns and runs his bike shop PRONTO BICI. Dave has worked for many bike touring companies and has a perfect perspective of Italian culture. Luciano is a native Vicentino (from Vicenza) and speaks fluent English. A very active cyclist with a triathlete past. Luciano is an expert in working with glass and developing custom glass structures for household purposes with his company Vetreria Baldo. Lennard is the world’s leading expert on bike maintenance and repair, having written the bibles of both road and mountain bike maintenance. 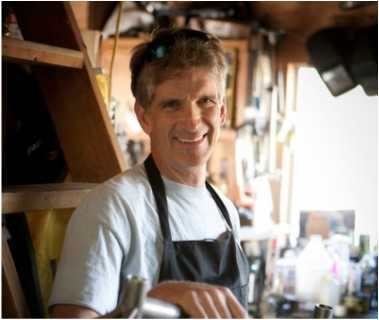 He is a world-renowned bike designer/frame builder and tech writer for VeloNews. 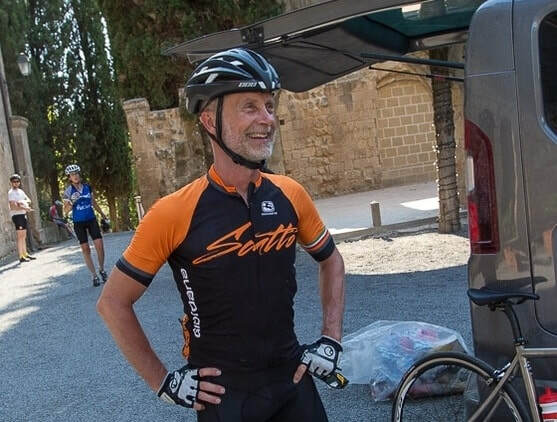 Lennard lived in Asolo, Italy for a time, led Italian bike camps with Carpenter/Phinney Bike Camps, and comes to Italy frequently, as la dolce vita is in his blood now. Like all the Scatto Team he loves to show Italy to people. A professional masseur (he also teaches) who has been massaging athletes for over 25 yrs. He is from Vicenza and worked for the Italian National Track and Field Team for nearly 10 yrs. 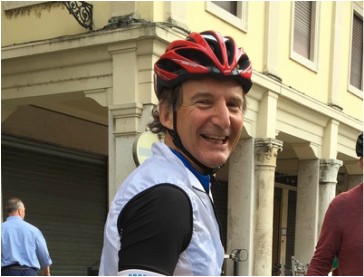 Massimo will be there to help us tackle some longs days in the bike....just wait until he puts his hands on your tired legs! A life dedicated to cycling: 22 yrs as a racer and 15 yrs as a Team Manager. Luisiana raced road and even won stages at the Giro and Tour!!! Since she has managed some top women road teams and obtained the highest Team Manager UCI qualification. She is also a fully qualified masseuse and will bring her enormous valuable experience to our tours. Mirko is our tuscan expert as he is from Montecatini Terme. He retired from pro-cycling at the end of the 2015 season after 8 yrs racing in the professional ranks. 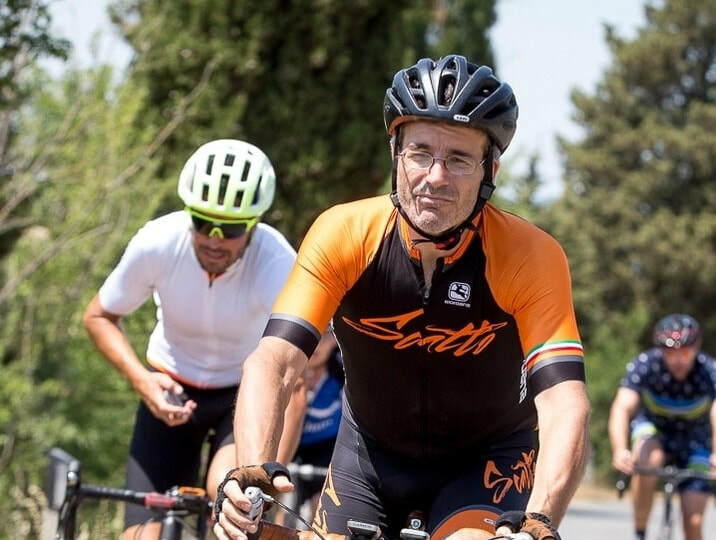 He raced with Astana, Vancansoleil and Androni and was an excellent one day classics rider and rode the Tour of Flanders and Paris-Roubaix many times. Mirko has many stories to tell us and will keep us entertained during those tuscan gravel sections! We have the honour of having Giovanni help us plan our tours. Giovanni is the "Direttore Sportivo" of Team Androni, ​a position he has held for 11 years and has done the GIRO nearly 10 times. He knows all the best routes in Italy and is a VERY precious asset to Scatto. He has been instrumental in developing the Alps to Med route. David is one of the most respected mechanics in our home town of Vicenza. Cycling is part of David's DNA as he has inherited his passion from his father and mother. He is an expert of vintage bikes and has completed nine EROICA's. Need someone that speaks English, Spanish, Arabic, Swahili and Malagasy? David has travelled extensively in Africa working as a volunteer mechanic in various missions. He knows our beautiful Dolomites like the back of his hand and knows all the back roads in Tuscany. He will do an amazing job keeping all our bikes running at 100%.